2019 is set to be the year of ‘conscious ceremonies’ and eco-friendly weddings – something we’ve been championing for years! At our secret location in between Bristol and Bath, we can bring your outdoor wedding venue ideas to life! For couples who dream of a celebration with real meaning, our beautifully secluded lakeside location is a truly special place with a story. Set amongst 40 acres of trees, our memorial woodland was planted in 2004 in memory of Luke and Marcus’s parents. This sacred spot has a special place in the heart of the whole Hasell family. We’re delighted to be able to share its hidden beauty with the lucky couples who celebrate their special day with us. Farmer Luke and his wife Mel share their favourite outdoor wedding venue ideas which promise to make memories that last a lifetime. While there’s been talk of the government changing the law and legalising outdoor weddings, we’ve been hosting heartfelt ceremonies at Chew Valley Lake since the very beginning. By using a Wedding Celebrant, you can have a personal ceremony conducted wherever you choose. A favourite spot for our couples is overlooking the shimmering lake with far-reaching views – we couldn’t think of a better backdrop for your ‘I do’s’. Or rather ‘Bus Pool’. While we have plenty of space for parking, it’s far better for the environment if everyone arrives together. 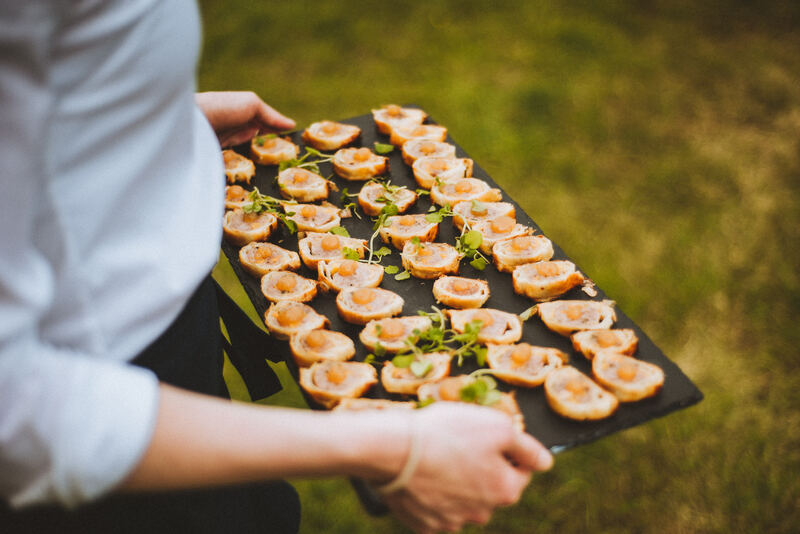 Chew Valley Weddings is conveniently located within 8 miles of Bristol and 11 miles from Bath, so bringing guests from a central point couldn’t be easier. Start the party early by leaving wedding favours that hint at the theme of the day on the seats of the bus. Or choose one of the many local vintage vehicle companies like Bristol Vintage Buses. As well as our amazing preferred catering suppliers, there’s also the option to use organic produce from our own Community Farm. Or ‘Eat Proper Meat’ from our farm at The Story Butchers – perfect for a delicious organic BBQ. This is Feel Good Farming at its best! If you want to wage the war on plastic pollution, try edible cutlery! Bakeys are made from rice, wheat and sorghum, and if you don’t fancy eating them – they simply biodegrade. 3-day weddings are our forte! The thing most couples love about our outdoor wedding venue is the freedom they have. Simply book the whole site and make a weekend of it – with all your family and friends thrown in! Arrive Friday for a summer evening BBQ and leave after brunch on Sunday. Our glamping partner Tinkerbell Tents provide the most gorgeous overnight experience. There’s no need for guests to travel back the days before and after the wedding, just sleep under the stars! Less travel = less fumes! (and more fun for you). 2018’s ‘weddings of the year’ were undoubtedly Royal. Following in the footsteps of Harry and Meghan, and Eugenie and Jack, the big prediction is a rise in eco-friendly occasions; flowers that can be replanted, organic menus and minimal plastic. Sounds good to us! Talk to our team today about your outdoor wedding venue ideas and we’ll help make them a reality!